Effective lectures will have an introduction as well as a summary and conclusion. This can be split like a good paper; it will have a beginning, middle and an end. The concept is to start each lesson with something precise and proactive to settle the students and engage them with the lesson. This helps organize your students and tie concepts together. The idea of having small introduction about the lesson at the beginning of each lecture to settle and engage the students. 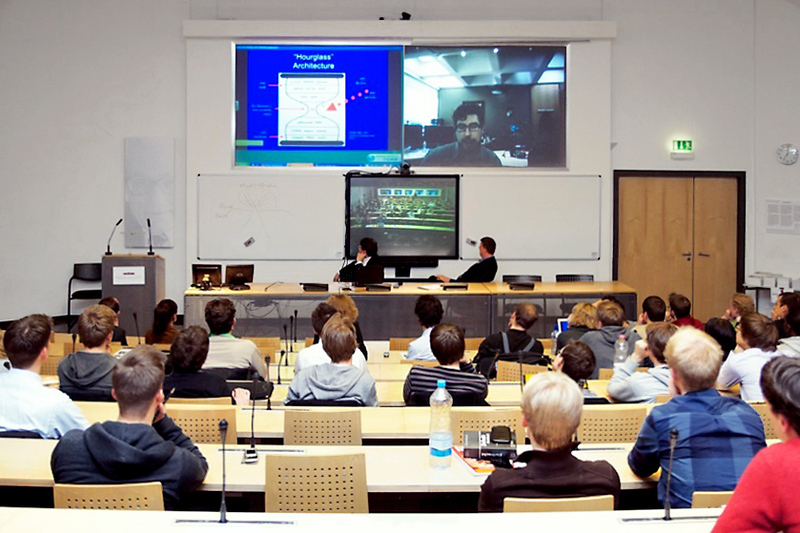 You must plan your lecture in advance and evaluate the information that needs to be included and try to think for the best method to present the lecture to student, for example , some subject topic might be showcase by Power-point presentation, videos, Flowchart, Youtube videos, academic articles, lecture videos, live conference call etc. In addition to planning, consider limiting the number of concepts you present. To ensure clear concepts of the lesson and retention, identify 3-5 key concepts your students absolutely must know at the end of your lecture and focus on those. In order to engage all students use effective delivery techniques, your pitch also be conversational in tone and it is vital to maintain eye contact with the whole classroom so that you can keep student engaged. Use good humour, because learners are more motivated when they’re having fun. Your pitch should make others feel comfortable and capable of participating in the lecture. Use physical gestures to emphasize some good points. Student-centred learning allows student to actively participate in team Learning and a responsible contributor in their own learning. In student centered learning strategies students construct their own meaning by talking, listening, writing, reading, and reflecting on content, ideas, issues and concerns. An extraordinary and uncommon learning styles are supported in a student-centred classroom, and provide students a better opportunity to learn more effectively and efficiently. Problem-Based Learning gives hand on situations they would normally face outside of the classroom and can easily overcome by applying the knowledge they absorb early on during the course of their learning. Active learning is a part of student–centred classrooms. In student-centred classroom teacher acts as a facilitator. Have group discussion where the students have to move around the classroom and they can involve in sessions. For better interaction with your student during your lectures you can ask Question and encourage question , it will generate their attention which is very effective if your lectures are long and it will create an interest for student to stay active in class during you lectures session. An interactive lectures provide students a better opportunity to learn more effectively and efficiently also encourage student participation, which boost learner retention and learning of the topic demonstrated during lecture. Approach such as ‘visualize, pair, share’, whereby students are able to think about a problem initially on their own, then with and other student and finally share with a group student or whole class, is a good technique to encourage participation and learning. Advancement of Technology in 21st century have given good impact on our Teaching, with the help of available technological resources can enhance the learning experience for our students. We need to use the right resource that best fits our lectures and deliver good quality of teaching. Best technological resources are: Recorded lectures or Videos for educational use which is available through YouTube for free. Use Power-Point in your lectures which will enable attraction of student to get clear information about the lecture and more will get engaged. Finally, Virtual Learning Environments such as Moodle, VLE, Open Hive etc., and students continue to be engaged with the topic after the lectures, have ended. Because content of lectures still accessible through Virtual learning Environments. It is a good practice to ask student for feedback about your lecture or any educational video showed to them during lecture or any study resources shared to them. Student valuable feedback will help you for your future planning that will help you to know if something new you have tried need some changes in order to work out for your lecture. Your lecture should end in a Conclusion way. Try to rewind with the main points of the lecture so that student ‘s attention can be re-focus and briefly explain what they will be learning next so that they can get clear visual what will be taught in next lecture . By ending your lecture well you have given student an effective lecture.